Congratulations on making your wellness a priority. 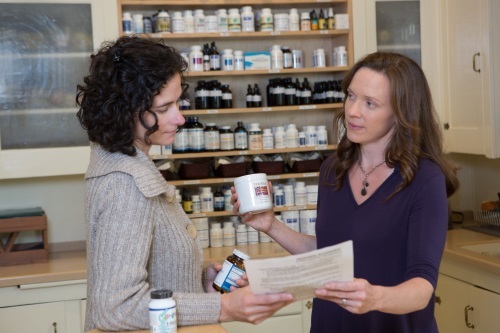 Here you will find everything you need to know to get started on your naturopathic healing journey with Wild Fern Natural Health. We look forward to helping you reach your personal health goals. Whether you’re seeking a physician to oversee all your health concerns or a specialist for a specific health care issue, we can help. We are happy to work in concert with your other healers and will customize a treatment approach designed to optimize your physical, emotional, social and spiritual wellbeing. The bottom line is: we’re here for you. And we’ll do whatever it takes to give you the support you need––so you can live your most vital life. Below you can download the new patient forms that will help you and your doctor make the most of your first appointment. In order to provide the comprehensive holistic care that we offer, these forms must be completed BEFORE the first visit. This paperwork may take approximately 30 minutes to complete thoughtfully, so please plan accordingly. Out of respect to our other patients’ time, your visit will end at the scheduled time, regardless of paperwork status. If you are unable to print your intake packet at home, we can print it for you and you are welcome to come to the clinic at least 30 minutes prior to complete it. Perform any necessary physical exams and may order labwork or imaging as indicated. Your completed new patient packet. Any pertinent medical records you have including recent lab or imaging reports. If you do not have these, we will discuss obtaining any pertinent records during your visit. Acute visits are generally 30 minutes or less; this will vary depending on your unique needs. Your doctors are available for scheduled appointments by phone or Skype for return patients. Many insurance carriers cover naturopathic services. While we do not bill insurance companies directly, we are happy to provide appropriate coding for you to share with your insurance carrier for reimbursement. Call the number on the back of your insurance card to determine if your plan covers out-of-network naturopathic physicians and, if so, at what percentage. This billing method allows your doctor to spend more time with you in appointments and more time researching, analyzing and working on client cases. 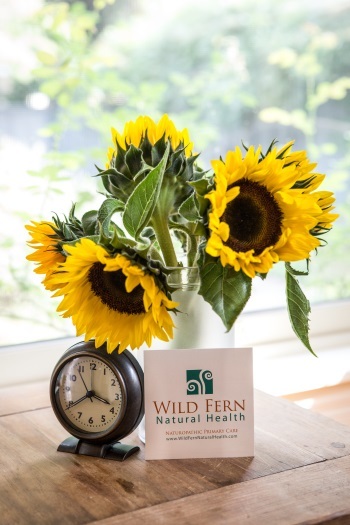 Wild Fern Natural Health takes great pride in providing excellent patient care. By not billing insurance companies directly, we are able to keep our costs down and focus on our primary purpose – your health and wellbeing. Please note that insurance companies are required to reimburse at the same rate for practitioners as they are for patients.